for $899,000 with 3 bedrooms and 2 full baths, 1 half bath. This 1,883 square foot home was built in 1990 on a lot size of 1.5241 Acre(s). 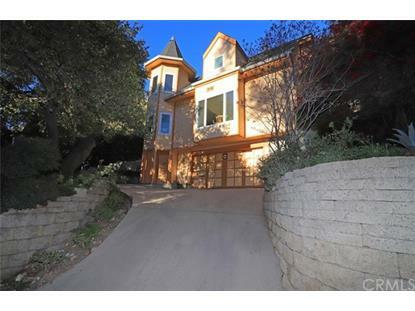 Gorgeous Story Book Victorian Style Home Nestled in the Enchanting Hillside Country Club Drive Community of Burbank. This amazing 3BD, 2.5BA, home includes formal living room with lovely bay window and formal dining area with picturesque hillside views. Comfortable back family room with warm decorative fireplace and slider access to nice size private patio area. Kitchen includes built-in appliances, kitchen bar and built-in china cabinet with extra serving counter space for entertaining. Two upper master bedrooms with large back private patio you will love surrounded by pretty scenic hillside views! Spacious master suite retreat includes separate sitting area with bay window, big walk-in closet all professionally organized and Full bathroom with vanity area and relaxing soaking tub with lovely tile work. Other Fabulous home features include three separate patio areas, newer central air and heating system, beautiful Milgard dual pane energy efficient windows, good size laundry room and pre-wired security system set up. Cement rain wash added around exterior of upper property along with exterior side stair case to upper patio decking. Attached two car garage with convenient direct access to home and extra parking pad. Exceptional hillside community with all the conveniences of the city but with all the comforting and healing feeling of nature and gorgeous mountainous hillside beauty - Truly Enchanting!